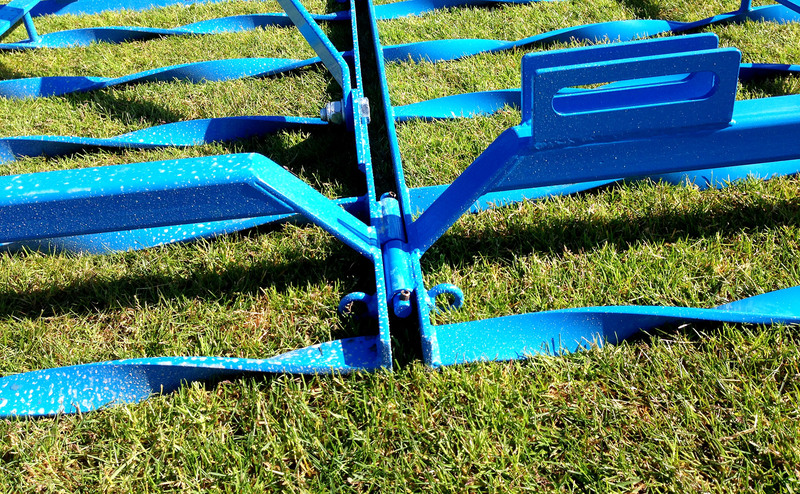 Have you just finished renovating your natural grass or hybrid sports pitch? 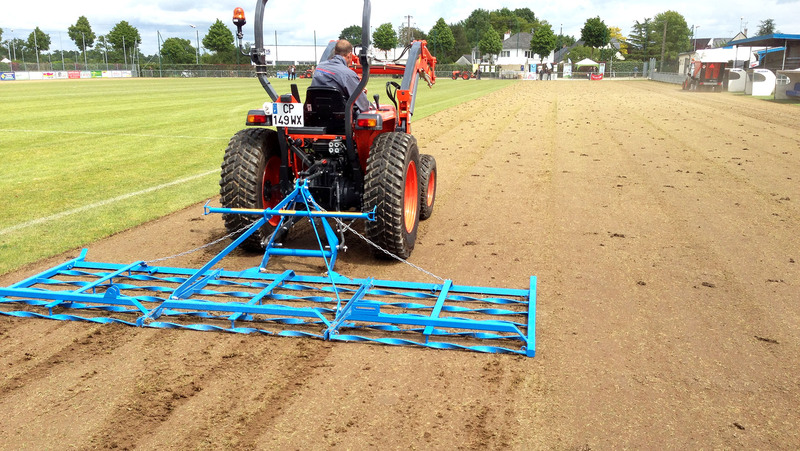 Do you immediately want to level the dressing soil or sand, that makes imperfections in your pitch? 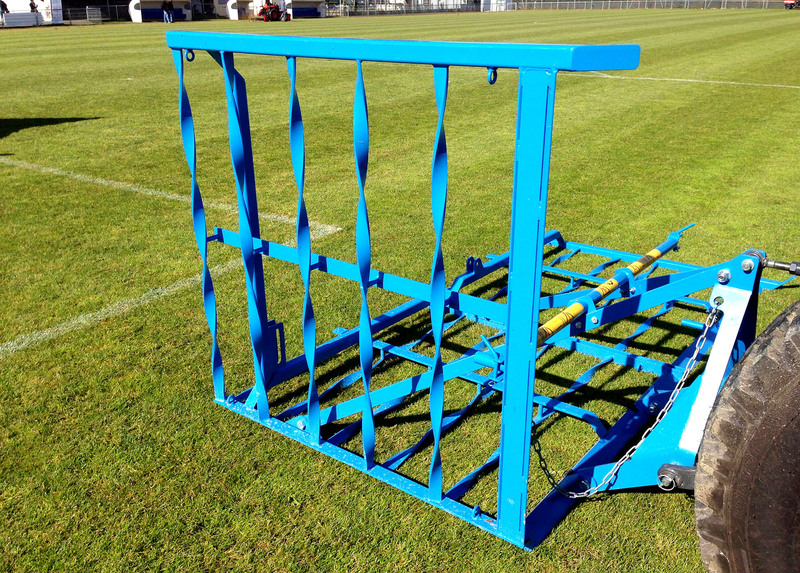 Do you want to provide your sports pitch with the finishing touch after the operation? Than the GKB Dragframe is the perfect tool for you. 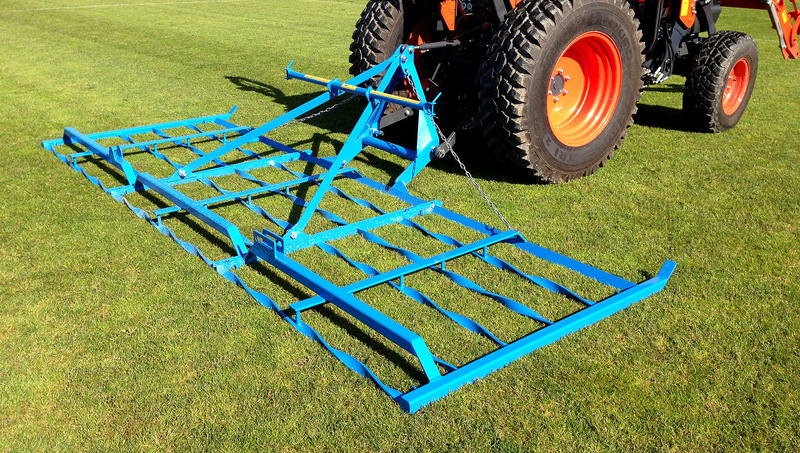 After the tillage, for instance with the Ecodresser, the pitch will perfectly be levelled. The unique spiral steel bars allow the Dragframe to perfectly level the sand on the pitch. Consequently, you, as a professional field manager, can work as efficient and effective as possible on different surfaces. Also, the Dragframe is provided with two folding side decks, which broaden the operating width to 4 m and that can be folded away by an optional hydraulic system. More information about the Dragframe!